The U.S. Travel Association has long been an advocate for better infrastructure at our nation’s airports, all but falling short of begging the federal government to devote more funds to build up – and in some cases rebuild – aging facilities. Perhaps this bit of news will spur some action. The USTA on Tuesday released new data showing that traffic projections for major U.S. airports are even more dire than previously thought. How bad? You know that crazy, claustrophobic, overwhelming kind of crowd that airports tend to draw on Thanksgiving Eve every year as travelers try to get to their destinations for the long holiday weekend? Yeah, that kind of bad. At least once a week, every week, at some of the biggest, busiest airports in the country. “The analysis found that the outlook for more efficient, hassle-free travel is becoming bleaker,” Roger Dow, U.S. Travel Association CEO Roger Dow said today in a conference call. • In 2013, six of the 30 largest U.S. airports were already experiencing congestion levels equal to the Wednesday before Thanksgiving an average of one day per week. 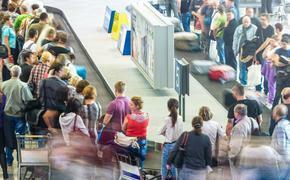 This year, the number of airports already at that congestion level has more than doubled to 13. • All 30 airports in the study will now experience Thanksgiving-like congestion one day per week within the next six years. • Twenty airports will reach Thanksgiving congestion levels two days per week within five years. Newark Airport, Baltimore-Washington International Thurgood Marshall Airport and Honolulu International Airport will start to experience Thanksgiving-like traffic two days per week next year, all sooner than expected. • Every day at Chicago Midway Airport and McCarran International in Las Vegas will feel like Thanksgiving beginning next year-both about a decade sooner than previously forecast. In the next 10 years, air travel is forecast to grow from 826 million to almost 950 million enplanements per year globally. 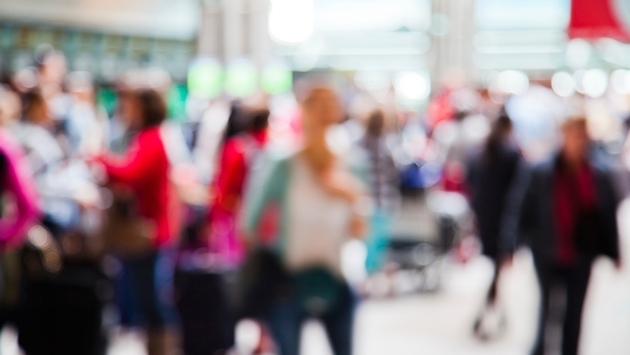 Separate research published by U.S. Travel earlier this year found that Americans are actively avoiding taking trips because of flying hassles. Air travel problems caused by poor infrastructure caused U.S. consumers to skip 38 million trips in 2013, costing the economy $35.7 billion.